Famous for its historic Roman-built Baths, the city of Bath has been a tourist destination for many years. A cool way to cruise through the droves of tourist-packed streets is by owning a scooter in Bath. Owning a scooter in Bath affords you the luxury of cruising around the city at your will. Faster in Traffic: Scooters can snake through small gaps in traffic, unlike cars or bikes which are a lot larger in size. Hit the Road Earlier: You can legally ride your scooter at the age of 16, which allows you to hit the road a year earlier than most road users. Price: Scooters are cheap to buy and maintain which makes them a very cost-efficient option. Fuel Economy: Both 50cc and 125cc scooters consume less fuel than cars and can run for days on little fuel. Price: We offer the lowest prices for the best scooters on the market. We also allow you to pay in instalments. Insurance: At Direct Bikes, we will compare the best scooter insurance deals on the market for you; no other scooter dealer does that! 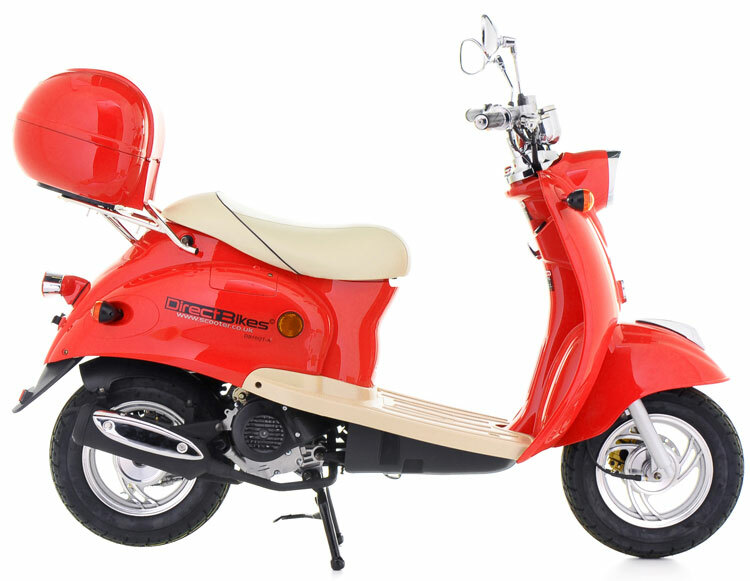 Design: Our scooters are available in an array of style, sizes, and colours, and are modifiable to suit your needs. Owning a scooter in Bath is a great way to get around this ever-busy city. We don’t have any dealership in Bath, but we can get your scooter to you wherever you are in the city. Just fill in your delivery information during payment, and you'll be revving through the streets of Bath on your scooter in no time!